Michelle is the Innovation, Impact & Business (IIB) - Business Partner to the Business School. Leading a team working on corporate engagement with research, education and impact within the Business School. 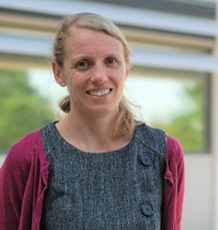 Seperately Michelle leads a team handling the university’s relationships with defence, security and conflict organisations from whom she has attracted significant new contracts. Michelle joined the University in 2015 after a long career at the Met Office, starting in weather forecasting and then progressing into the Commercial Business Team where she was responsible for the water sector and the London 2012 Olympics contract. She then moved on to Head up the Utilities and then the Renewables Business Teams, delivering products, services and science to UK and European Utilities and Renewables companies. Responsible for delivery across IIB into the Business School, including industrial and government income, industry partners and impact case study support. Main IIB point of contact into the Business School. Responsible for the Defence, Security and Conflict team supporting academics and industry in these areas.